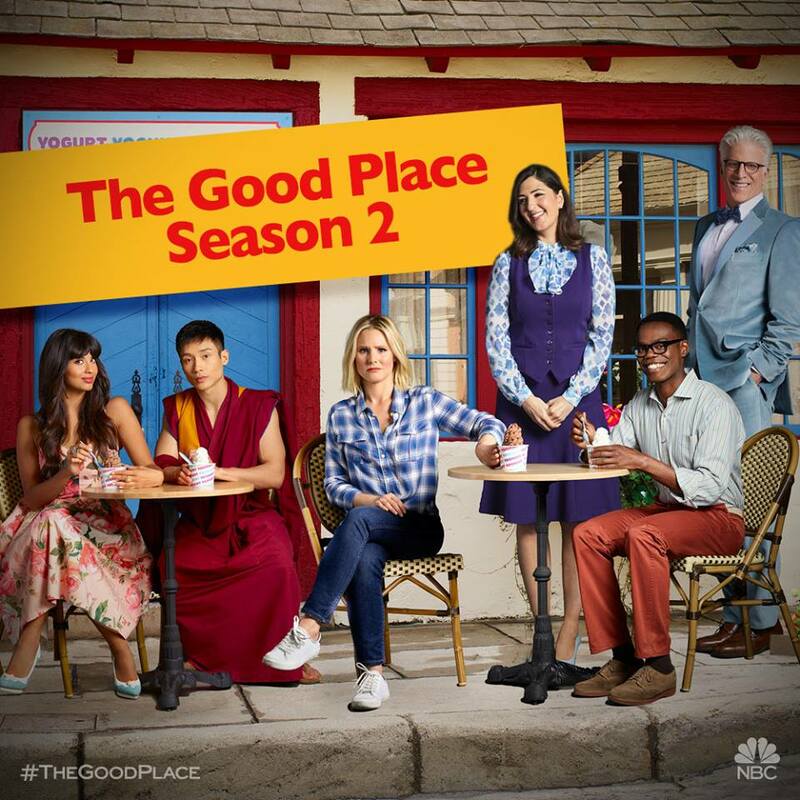 The Good Place – Speculation Failed! So at the end of the first season of The Good Place, I made some speculative guesses for the second season of the hit NBC comedy, and I’m happy to report that I failed miserably with most of them. You can see my previous article about featuring my speculations here. Of the four that I suggested, really only one came true and it’s not hard to see why. Supernatural did something great in their episode entitled “Mystery Spot” where it replayed a day again and again; and in the first few episodes of the new season on The Good Place, there were just a few changes as Michael kept trying to work on manipulating Eleanor, Chidi, Tahani and Jason into Hell. Everything else I guessed was a fail, but it was nice to see a few more scenes with Eleanor’s first shirtless soulmate. Why did we have to see him go so soon? Well, maybe not as much a fail on this point: Janet is still a key to watching the show develop and grow. Only I do worry about her glitching and hope there’s an answer to that soon. If you were a fan of The Good Place, how are you liking the way the show has tackled the biggest reveal of last season? Comic books are an easy place these days to get stories from – part of the appeal of a comic book is that there is a fanbase already out there – but depending on how a show is executed, one can soar while another fails. It’s especially difficult with Marvel titles – and this season there are multiple shows based around Marvel titles that have had different success levels. 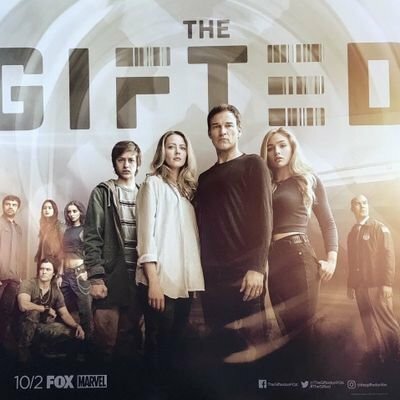 So far in this season, Fox’s The Gifted – a show that features some well known and new mutants struggling in the US – has been well received by fans and critics. The show plays with the right amount of fun (in the pilot, one character has the 90s animated theme as his ringtone) while still telling a compelling and complicated story. Where The Gifted uses some smaller X-Men (Lorna Dane is the best known mutant to comics fans in the show), the show makes the world seem real and dangerous where mutants are hunted for real reasons. Even if you don’t know the comics, the show establishes clear ways to see into that world and helps to keep you there each week as a small group of mutants try to escape government prisons (or worse). While The Gifted has been a hit, ABC’s Marvel’s Inhumans (using a term from Marvel’s Agents of S.H.I.E.L.D.) has been less successful. The show was panned by many critics, and has made it difficult to find a good way for fans to get into the show. 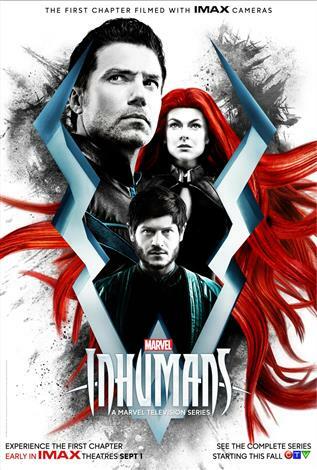 For a show that focuses on people with extra powers (Inhumans) the villain of the story is a human who is out for power in a world where he has none. For Inhumans who live on the moon – away from injustice that the same Inhumans face on Earth in S.H.I.E.L.D. – there is still stratification based on the level of power each Inhuman has – but the whole premise seems forced. S.H.I.E.L.D. is already dealing with prejudice between humans and Inhumans, but this show is pushing it too far. I’m all for shows that use other source material well, but comics can be tricky because so many people know so much before they have even watched the series. Perhaps if I were less of a comic fan (and even I know I’m new), I’d care less about the ways that Marvel’s Inhumans frustrates me while The Gifted does not. Every year after I return from San Diego Comic Con, I have friends (or anyone I talk to about the con) ask about cosplay. I reply that I don’t cosplay (or dress up in costume), but I do appreciate the time and energy it takes for people to cosplay. It’s easy to see all of those photos on social media, or to know someone else who goes to cosplay, but there’s so much more to cons than the cosplay. However, cosplay is at the heart of many cons and SDCC makes a point to highlight all of the wonderful creations with the help of Her Universe, and a haute couture fashion show. Just outside of the con on Thursday evening (on July 20), Her Universe highlights over twenty fashion designers and their works that match high fashion with fandom. What I saw during this show was awe-inspiring and breathtaking in equal measure. As someone who has a passing interest in high fashion (I do love Project Runway, but don’t normally follow too much from the inner workings of fashion houses), the show is a perfect way to think about the art of creating clothes and someone’s love of fandom. Each artist creates one piece of high fashion based off one fandom and the audience helps to determine a winner (or winners) who will help design some ready-to-wear fashion for Her Universe next year. Beyond just the idea of this high fashion show, Her Universe is working hard to make it possible for fandom to be fashionable and wearable. I remember as a kid that the only way to wear your fandom was in t-shirts, but now it’s possible to have a dress with Princess Mononoke inspired forests, just as it’s possible to wear an Outlander wrap jacket. Fashionable ways to show your love for fandom has increased and between the Her Universe Fashion Show and their work to make fandom cute, there are more ways to show your love for fandom at a con. Cosplay is one way, cute shirts, skirts and dresses are another. To see more fashionable fandom wear, check out Her Universe. 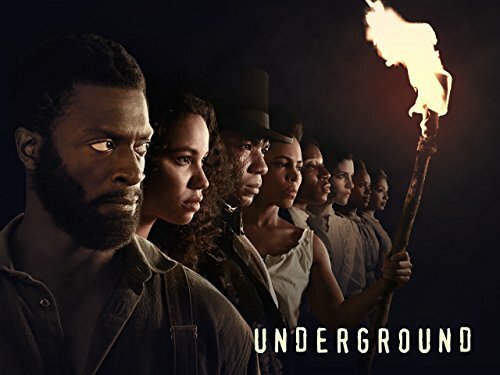 On Tuesday, WGN America announced that sophomore show, Underground, would not return for a third season. Already the cast and creative team are trying to get the show on another network (or streaming service), but generally fans are sad and frustrated that the show was cancelled. However, the show is not the only WGN America show to be cancelled this week – Outsiders was also cancelled by the new CEO in an effort to rebrand the station. Just a few years ago, the idea of original programs (Salem, Manhattan, Underground and Outsiders) was seen as a way to branch the network away from its roots as a local Tribune station. Winds change – as does management – but the end of all of these show (but Underground most of all) changes what types of shows are available on TV. What stood out for all of these WGN America shows was a strong sense of different narratives – all of the shows were ground in some real history but took different spins and turns on the same facts that most people know. Underground was difficult to watch – rightly so – but it raised awareness of issues of race and class that are still relevant to all of us today. The show’s themes hit the right moment in the zeitgeist but each of the shows that are no longer on the air were important to thinking about larger issues. Regardless of why Underground has left the air (for now), the show made many fans realize more of the cruelties of slavery while also celebrating triumphs in difficult times. 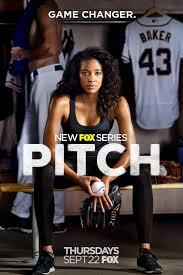 Just last week FOX announced that it had cancelled the new drama Pitch after just one season. As the start of the baseball season is heating up, it feels wrong – on a personal level – to cancel the drama that made a professional baseball team into a real group of people seems ill-timed. Actually, the whole way in which Pitch was marketed didn’t do the show justice. Of course, FOX was able to put the show on right as Major League Baseball’s Post-Season occurred, but in having the show on while there was plenty of compelling baseball on in real life made it awkward. As a fan, would I want to watch fictional baseball with a female in the game or would I want to watch the games that count and matter for ten teams down to two teams? For me, as a female fan, I wanted to root for Ginny and watch her team do well, and even though I did, there were parts of her narrative that probably did it few favors. Setting Ginny’s rise to the Majors with a team that has only been in two World Series (and who have never won) along with the team being a smaller market make it hard for general baseball fans to want to root for The Padres. Amongst fans in southern California, the Padres aren’t even the popular team (except around San Diego), whereas a team like The Cubs, The Yankees or even The Braves could have drawn more fans. Regardless of the fanbase of the team depicted in the show, the show had a difficult job of trying to tread the line between being too much about baseball and too much about Ginny’s personal life and the difficulties of being a woman in baseball. For all the aspects of the show that didn’t succeed this year, there are still plenty of fans of the show around. As another friend (or was it a friend of a friend), I’d love to see more Pitch – especially on MLB Network. 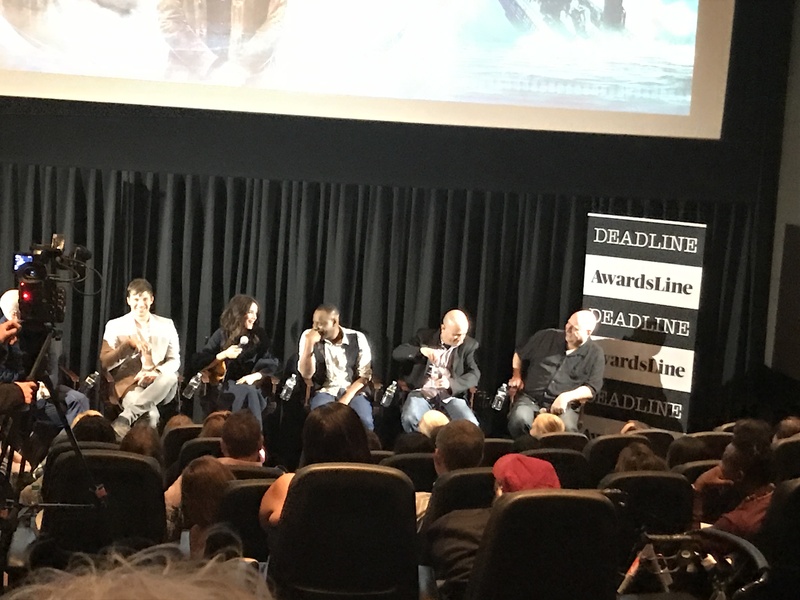 This last week, in conjunction with the well-known entertainment news site Deadline and their Awardsline screening series, NBC’s freshman drama Timeless was presented to members of various Guilds and fans. The room was treated to a first (or second) viewing of the show’s fourth episode entitled “Party at Castle Varlar,” that featured Nazis and Ian Fleming (as played by Once Upon a Time alum Sean Maguire). It was also one of the first episodes to dig deeply into Flynn Garcia’s (series regular Goran Visnijc) motives. 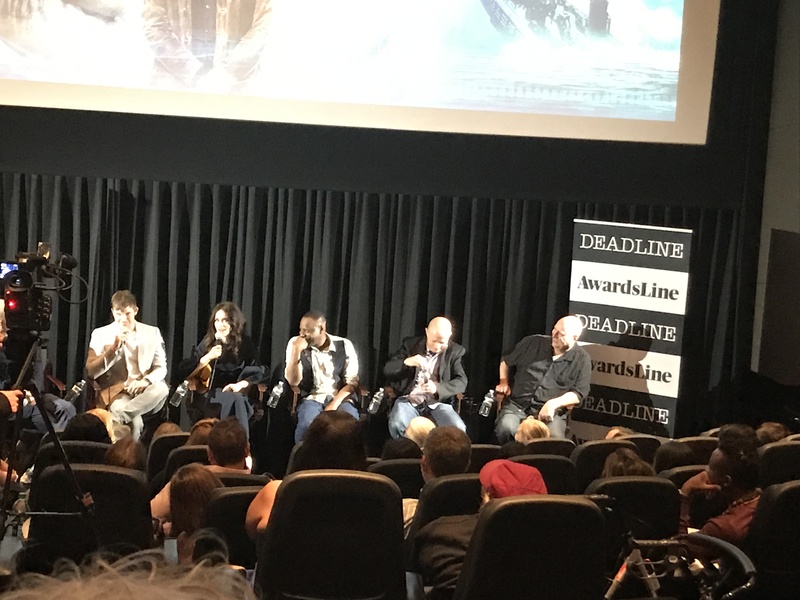 After the episode, Dominic Patten from Deadline led a short question and answer session with Executive Producers Eric Kripke and Shawn Ryan as well as stars Matt Lanter (Wyatt Logan), Abigail Spencer (Lucy Preston) and Malcolm Barrett (Rufus Carlin). While nothing about the show’s future was discussed, much was asked about how some stories were broken (usually the room focuses on a style of episode – Western, Mystery, etc. – and then finds a historical time to match) while also allowing the cast to share their favorite episodes and costumes. Overall, for a show that generated some buzz during the year, but could always use more if there’s another season, this event allowed existing fans a shot at seeing the cast up close while also teasing some of the behind the scenes stories that made the show fun and captivating each week. NBC will announce their 2017-2018 TV schedule at the network’s annual upfront presentation in New York City on Monday, May 15. It is possible that the fate of Timeless could be revealed shortly before the official announcement is made.